New Atletico Madrid signing Alvaro Morata says that he ‘dreamt’ of playing for the club since he was a child. The Spaniard penned an 18-month loan deal with Diego Simeone’s men as he completed his long-awaited switch from Chelsea. 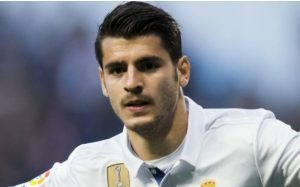 Having previously been a ball boy with the club, Morata told how proud he was to make his return to the club. Talking to Marca, he said: “Ever since I was a ball boy for the club, I’ve always dreamt of playing for the team. Morata could make his debut for the club on Sunday afternoon as Atleti do battle with Real Betis away from home. Whilst odds are not quite available on Morata scoring just yet, Antoine Griezmann is the favourite to open the scoring and can be backed at 4/1 with BetFred.